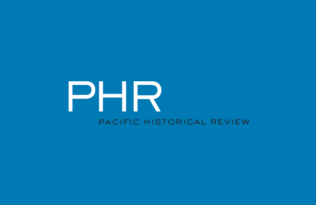 We’re pleased to offer a selection of free content from California History, Pacific Historical Review, Southern California Quarterly, and The Public Historian in celebration of the annual conference of the Organization of American Historians, which is being held in Philadelphia from April 4-7, 2019. Please share using the conference hashtag #OAH19. 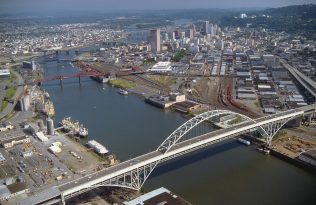 From California’s largest metropolitan regions to its smallest towns, there are countless librarians, archivists, collectors, and history enthusiasts—most of whom work as volunteers—who have painstakingly preserved documents and artifacts of the state’s rich history. In this special issue of California History we have reached out to a diverse handful of these entities to learn about their collections and exhibits, and to inspire our readers to hit the road in search of new stories to tell about our extraordinary land. 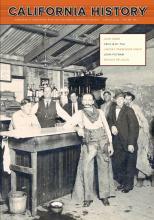 Seventy years ago, Pacific Historical Review published one of the journal’s first “special issues,” looking back on the California Gold Rush. In light of the 70 years of historiography that have developed since this early special issue on the topic, we are revisiting these articles in a special “Gold Rush Revisited” virtual issue with an introduction by noted Gold Rush historian, Andrew C. Isenberg. 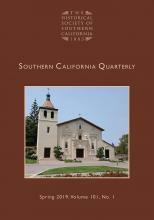 As part of the Southern California Quarterly’s commemoration of its 100th volume, the current issue includes three historiographical essays that trace the conversations that scholars have engaged in throughout the journal’s publication, regarding some of the region’s most compelling and iconic topics. Taken as a collection, the essays in the special issue “Conversations in Critical Cultural Heritage” reflect some of the compelling themes and conversations currently being explored in the broad field of heritage studies. These themes include discussion of photography as a form of heritage (especially in the context of Indigenous communities), the connections between heritage and Indigenous resilience, heritage as a route to healing and decolonization, the repatriation of cultural heritage, intellectual property and the decolonization of heritage archives, heritage failures, and the use of deliberate heritage as a tool of persuasion in the public sphere. 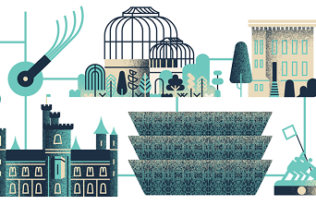 These essays also highlight the need for further conversations on the role of heritage in our world, and the use of heritage as an analytical framework. 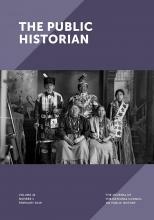 Our goal with this volume, then, is to add our perspectives to the growing literature in the field and to seek to connect the conversations happening between anthropologists and public historians on critical heritage studies issues. 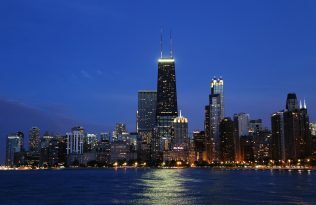 This post is part of our blog series in conjunction with the 2019 Organization of American Historians conference. Please share using the conference hashtag #OAH19. Congratulations to our 2019 AAG Award Winners!